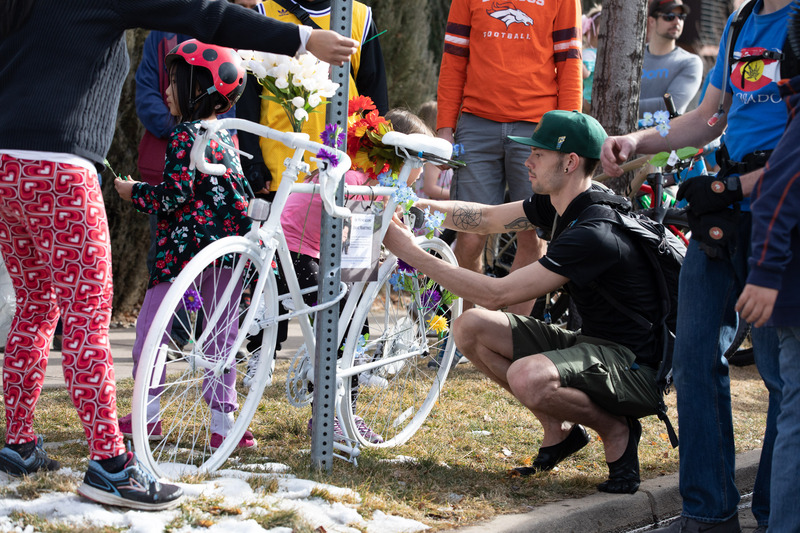 Saturday cyclists and loved ones dedicated this 'ghost bike' in remembrance of Dave Martinez at at 33rd Ave. and Zuni St., where a driver hit him. All photos: Andy Bosselman, Streetsblog, unless otherwise noted. Gloria Gonzalez, the mother of Martinez’s four children, his daughter Maggie Rose, and his son David at the ghost bike dedication. 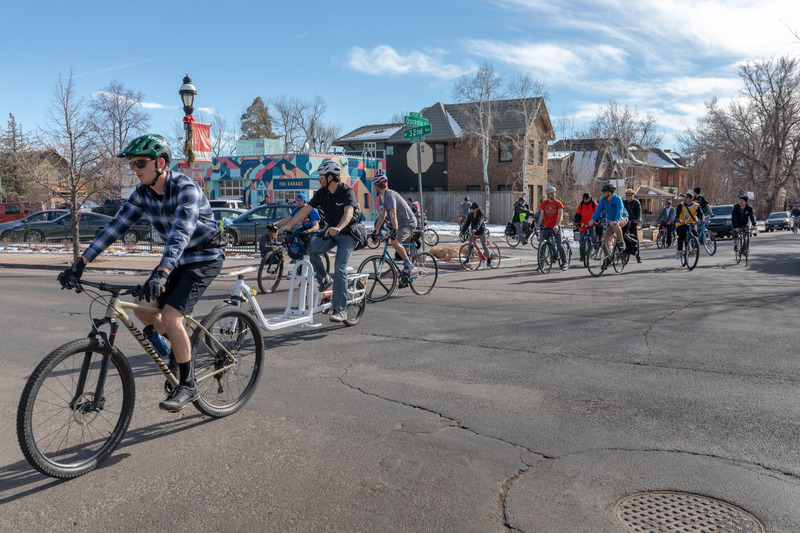 Three dozen cyclists honored Dave Martinez with a 1.5-mile ride on Saturday that culminated in the installation of a bike memorial for the hit-and-run victim, who died Jan. 7 at age 53. Dave Martinez with his four children. 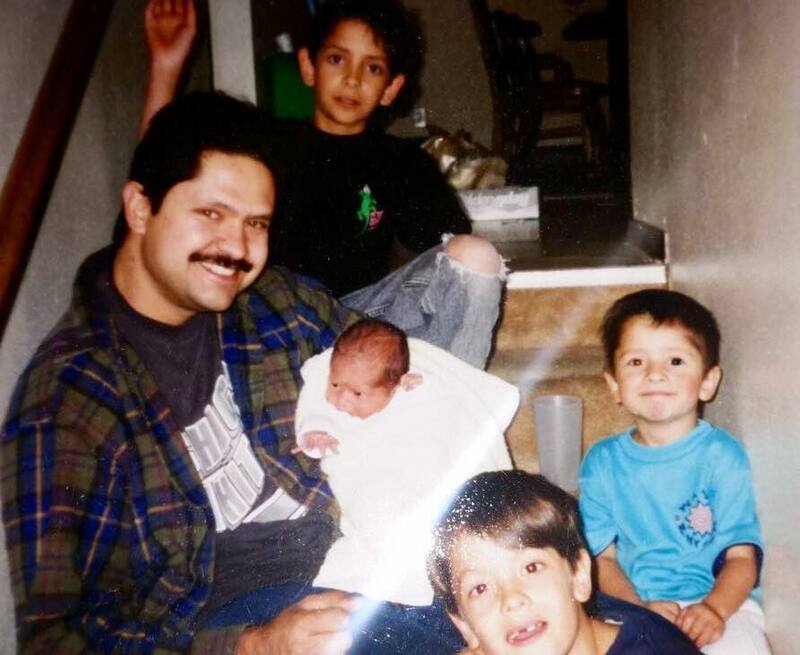 Photo: Martinez family. The bike will remain there as a remembrance to Martinez — and as a reminder of the dangers drivers pose to people on bikes. 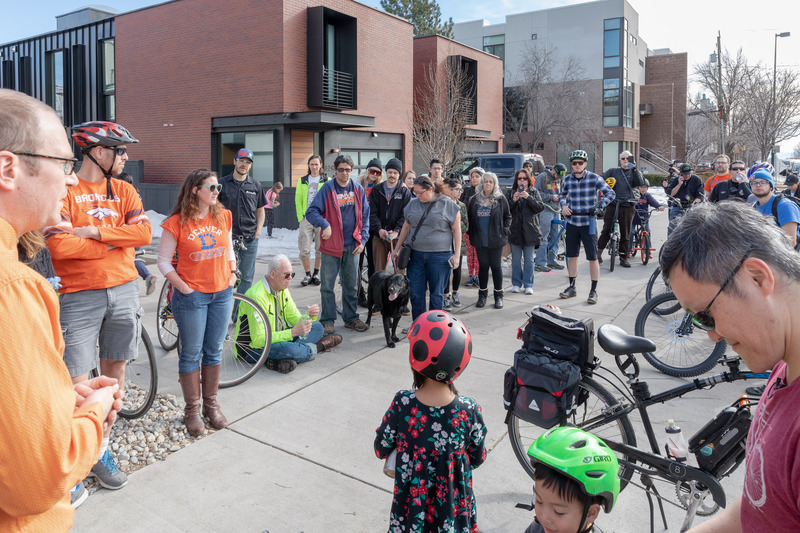 During the ceremony, members of Martinez’s family held back tears as he was eulogized by a handful of speakers, including Allen Cowgill, one of the North Denver cyclists who organized the event. The ride started at The Garage community center. Martinez’s death added to the number of Denver traffic fatalities in 2018, which reached 59, an increase of 16 percent. The number of people killed on the city’s streets continues to grow despite Mayor Hancock’s Vision Zero pledge to eliminate all traffic fatalities by 2030. Statewide, distracted drivers caused 57,298 crashes between 2012 to 2015. Martinez was killed as he biked home from work. “Traffic fatalities are not statistics,” said Jill Locantore, executive director of WalkDenver. “They are people like Dave Martinez. 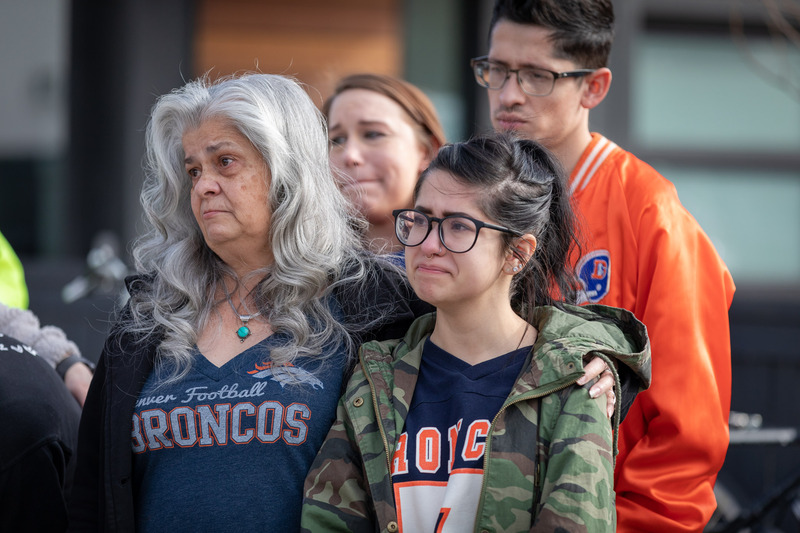 Many who attended the memorial dressed Denver Bronco’s apparel, Martinez’s favorite sports team. Martinez would often stretch his budget to buy bikes, Gonzales said. Many attending the service wore the colors of the Denver Broncos, Martinez’s favorite sports team. After the spoken remembrances, the crowd quietly surrounded the ghost bike. Cyclists, children in bike helmets, and family members then attached flowers. Daniel Clinton attaches a flower to the ghost bike. “If he would have known that something like this would have happened, that people really cared about him, he would have been just overwhelmed with gratitude,” said Gonzales. Two police officers joined the ride on mountain bikes, but the department says there still is no suspect in the hit-and-run. Martinez’s family set up a GoFundMe page to help cover medical expenses: In Loving Memory of Dave Martinez. This was really nice what they did in remembering and honoring Dave Martinez and his family. Belated thoughts and prayers. A hit and run of a pedestrian cyclist should be deemed felony murder just like any other death resulting from the commission of a crime. Shame on the cowardly driver. Let’s hope justice catches up to him/her soon.